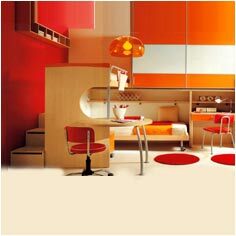 With focus on modern minimalist design and comfort, we offer variety of Kid Room Furniture. From bunk-beds to study table we offer variety. 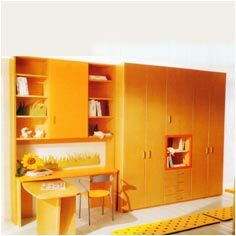 The array of kids room furniture include bed, bed stand, wardrobe, bookcase, study table, computer table, chairs, toy racks, cradles and more. With prime focus on safety of the child, all the furniture are made with no sharp edges and the polish / colour used are non-toxic. 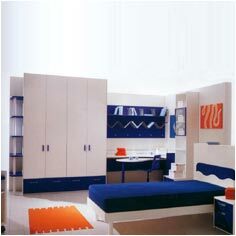 Most of the furniture are of low height and safe in construct.